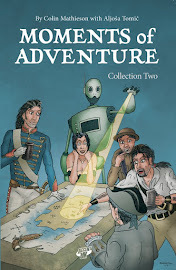 Moments of Adventure: Comic Calendar! 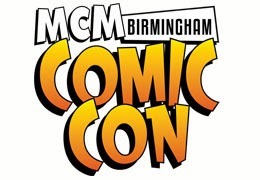 We of course are very familiar with the MCM Manchester ﻿and Glasgow shows but Birmingham and Belfast are both new to us. We've not been to the MCM London show since 2010, when I think they had a mere 14,000 or so attending which was pretty impressive but I understand that they're now up to some 60,000+ !! It's numbers like that and the recent success we've enjoyed at Glasgow and Manchester which helped convince us to make more of an MCM effort this year. It also helps that MCM themselves are expanding with some of these events being new or extended from before. We also quite fancied their Dublin show in April but it clashes with something else, but I think we're doing okay! This doesn't of course mean that we're only doing MCM shows this year, we're aiming to match last year's total of 11 events, out of a long list of 24! Not all these shows have yet released tables/confirmed dates but we have applied for a further 3 and should find out soon if we're confirmed or not. It is a fine art deciding which ones to attend and there's a number of factors that determine whether an event is right for us. Sometimes even informed choices don't work out so it can be a bit of a gamble and we've had to carefully look at the calendar and 'drop' a couple of our normal events to accommodate these newer ones. Particularly it was with regret we decided not to apply for this year's London Super Comic Convention and New York's MoCCA. These are both great shows and ones we'd enjoyed becoming regulars at but you can't do them all and its good to freshen things up. Watch out for more announcements and see what new goodies we can take with us!